"Civilization needs a new operating system." Since 2005 we have been passionate about helping companies create and maintain positive workplace environments with happier, more engaged employees who achieve higher levels of performance, creativity, and profitability. Instilling focus, discipline, and accountability throughout the company so that everyone executes on a shared vision. Every day. Helping leaders become a more cohesive, functional and healthy team. When your bottom line is on the line, you can’t afford not to! The end result for our clients is a business that is focused, knows where it is going and how it is going to get there. It has discipline, structure and accountability throughout the organization. With all the employees rowing the boat in the same direction at the same time and all the right people in the right seats there is nothing that cannot be accomplished! It is a win, win, win situation! It all starts with a complimentary, 90 minute workshop with your leadership team. 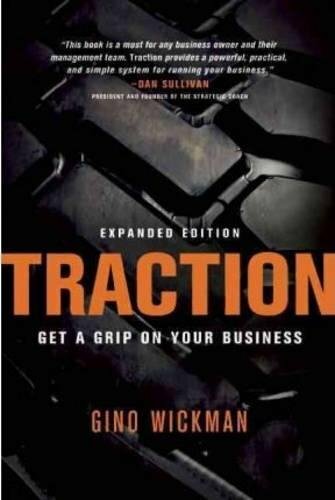 If your business growth has stalled or reached a plateau, it’s time to gain Traction.